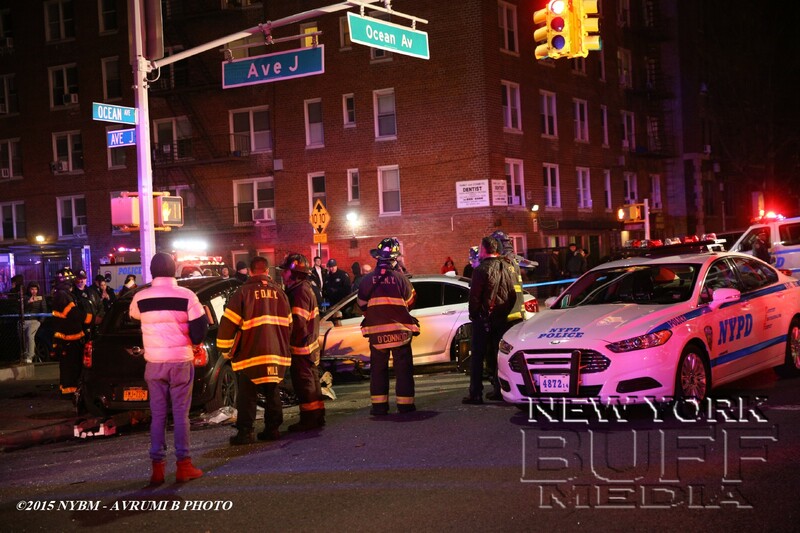 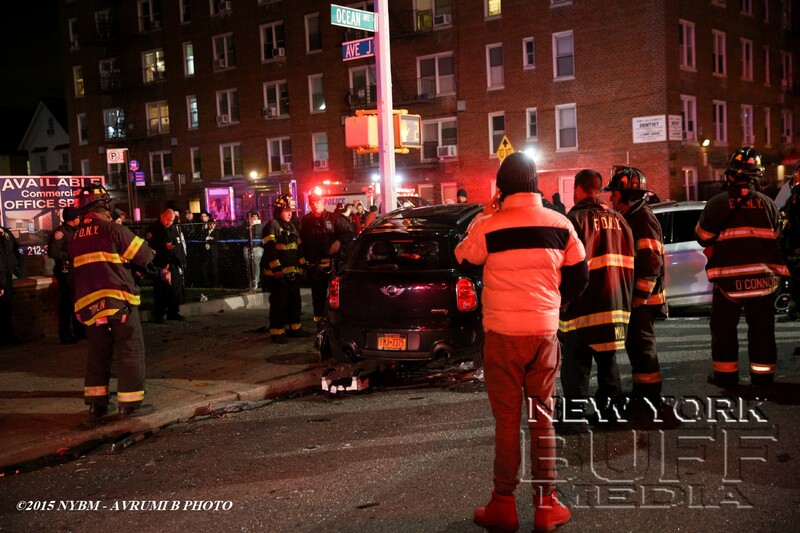 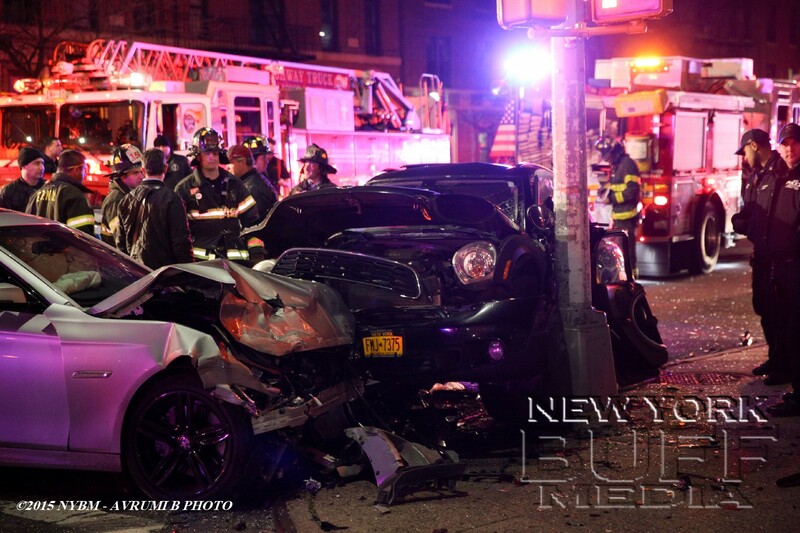 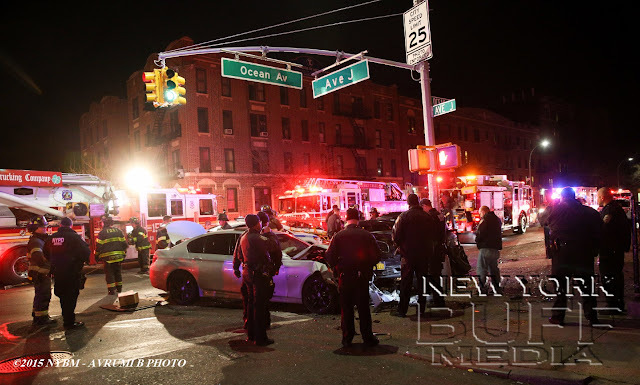 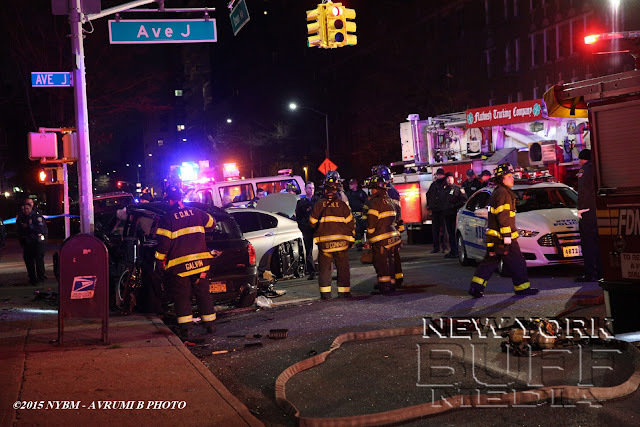 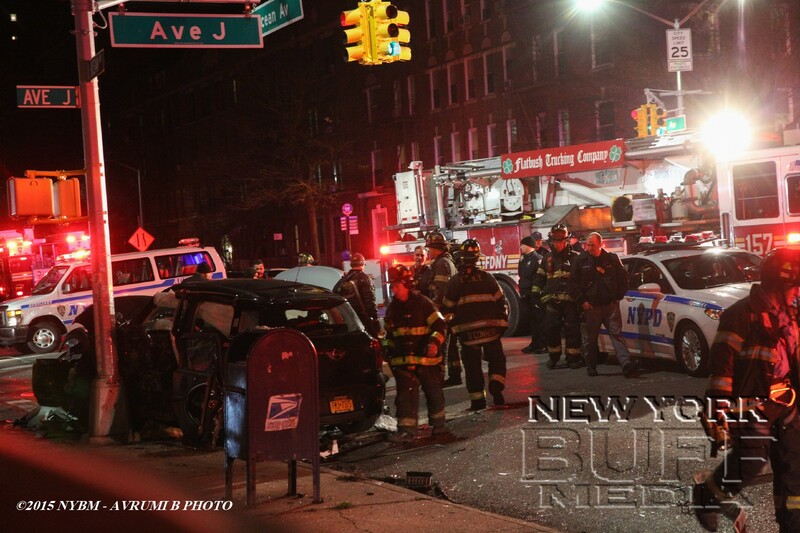 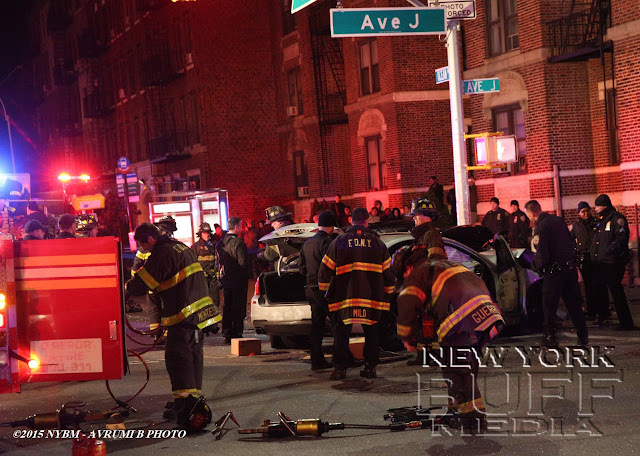 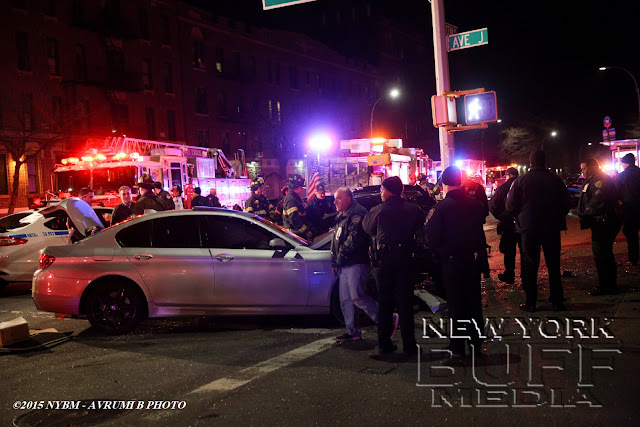 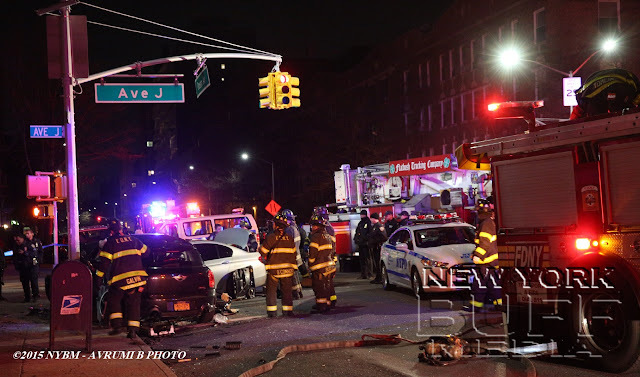 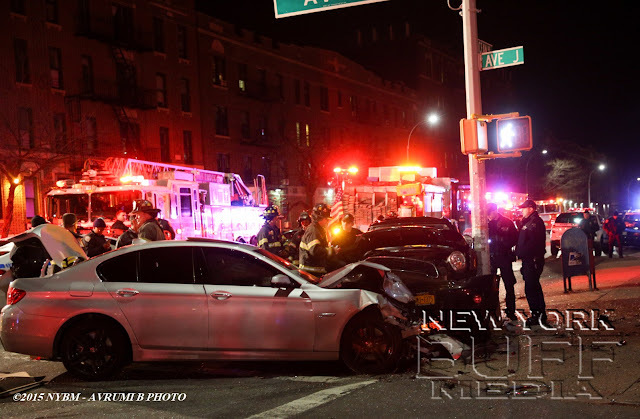 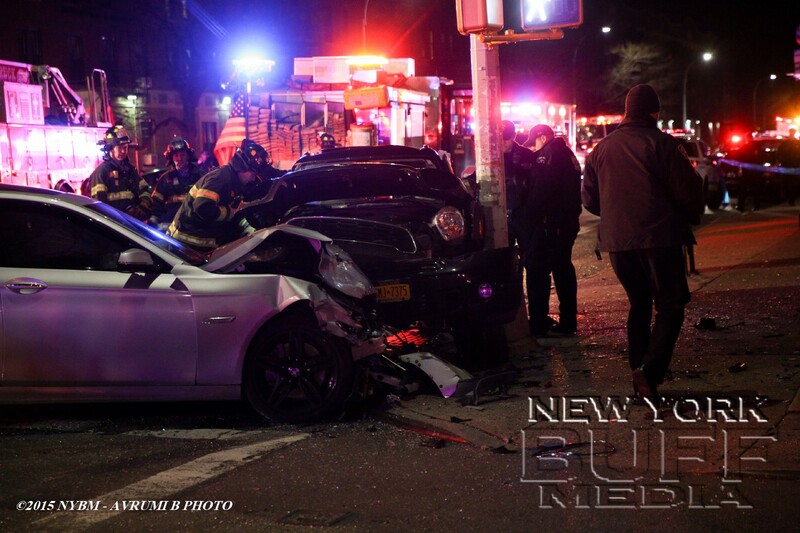 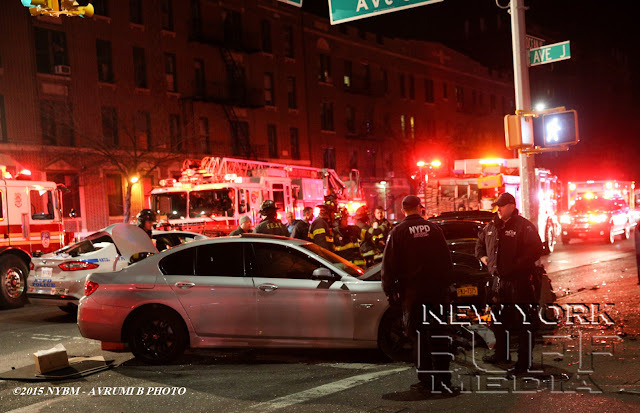 Multiple injured after a 2 car collision at the intersection of Ocean Ave and Ave J in Brooklyn. 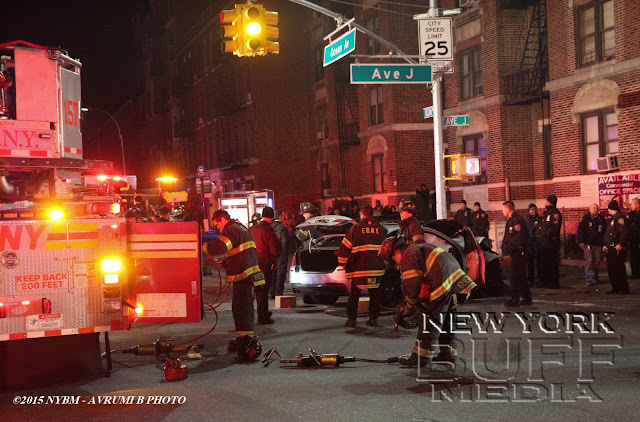 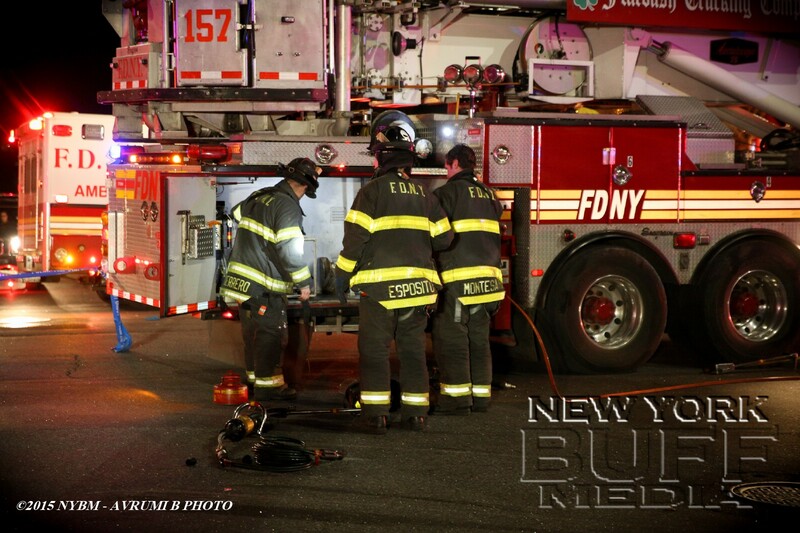 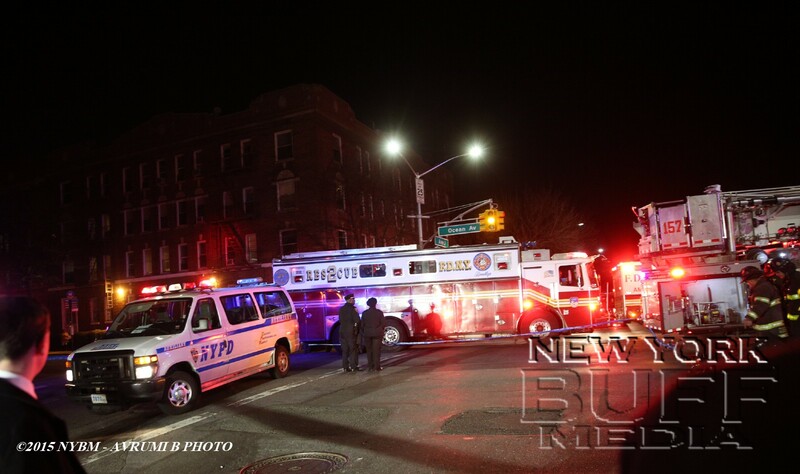 The FDNY put the Hurst Tools in operation to extricate a child that was pinned in one of the vehicles. ALS was requested, and the child was removed to Kings County Hospital with serious injuries.